UNITED NATIONS, Nov. 23 (Xinhua) -- UN Secretary-General Antonio Guterres has condemned Friday's terrorist attacks at the Chinese Consulate-General in Karachi and a market in Khyber Pakhtunkhwa province, Pakistan. Guterres extended his deep condolences to the families of the victims and wished a speedy recovery to those injured. He also sent his deepest sympathies to the government and people of Pakistan, said his press office in a statement. Guterres expressed the hope that those responsible for the attacks will be swiftly brought to justice. 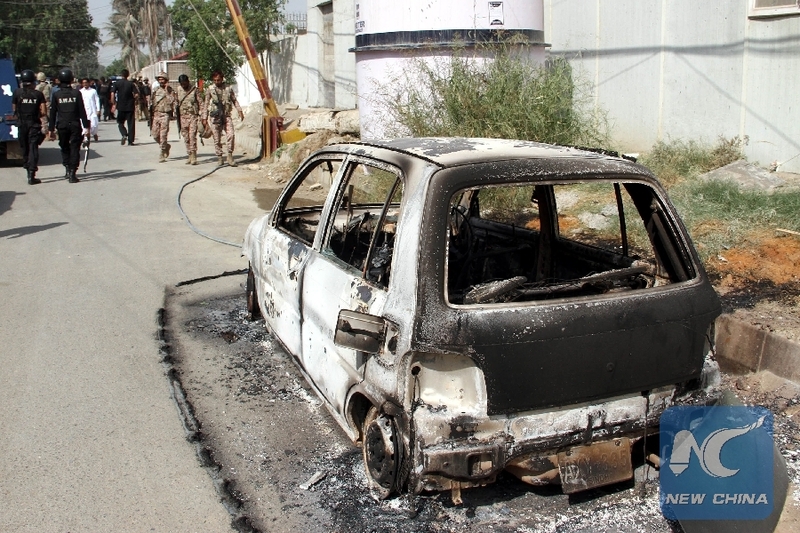 Five people were killed in the attack on the Chinese Consulate-General in the southern Pakistani city of Karachi. The attackers were killed before they were able to break into the compound. At least 25 people were killed in a separate attack in the Orakzai region of Khyber Pakhtunkhwa province in the northwest.